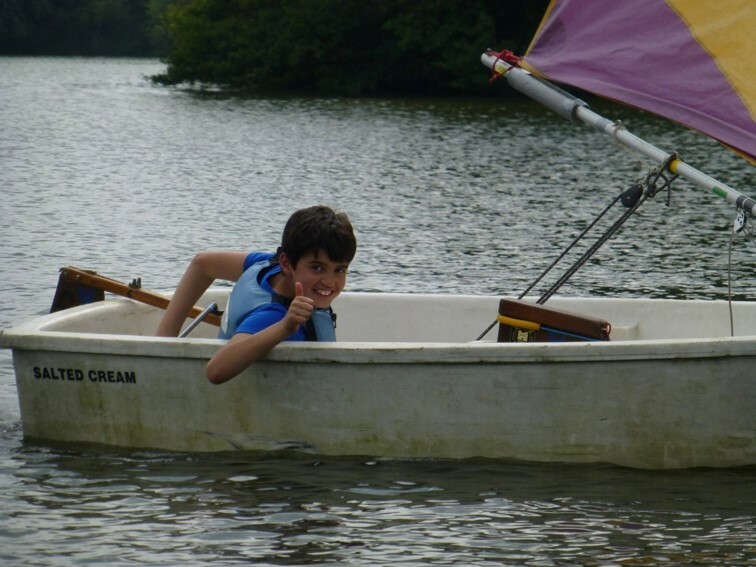 We have a thriving Junior Club of young sailors aged 8 and over who have completed their initial RYA junior sailing course. 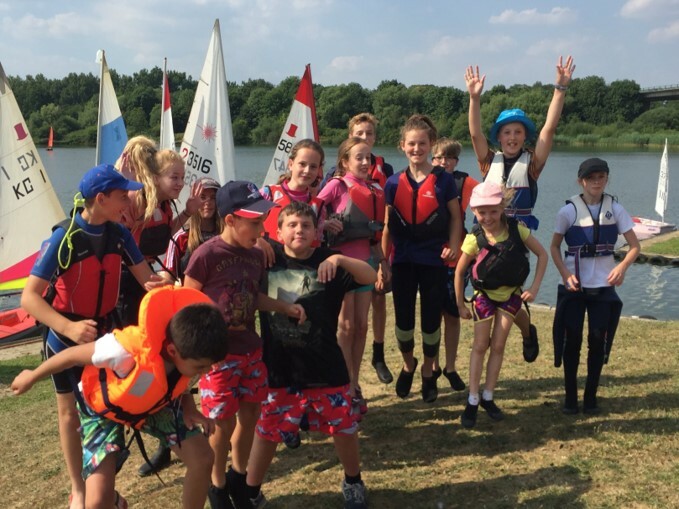 The Junior Club meets regularly on summer Sunday afternoons where fun filled sessions are supervised by RYA qualified instructors and include a mixture of training, games and racing. We have a thriving Junior Club consisting of young sailors aged 8 who have completed an RYA Youth Sailing Scheme Stage 1 or above. (For those looking to learn to sail you will find details of courses open to Juniors by going to our "Learn to Sail" page.). We meet approximately once a month on a Sunday afternoon (see club calendar for dates). 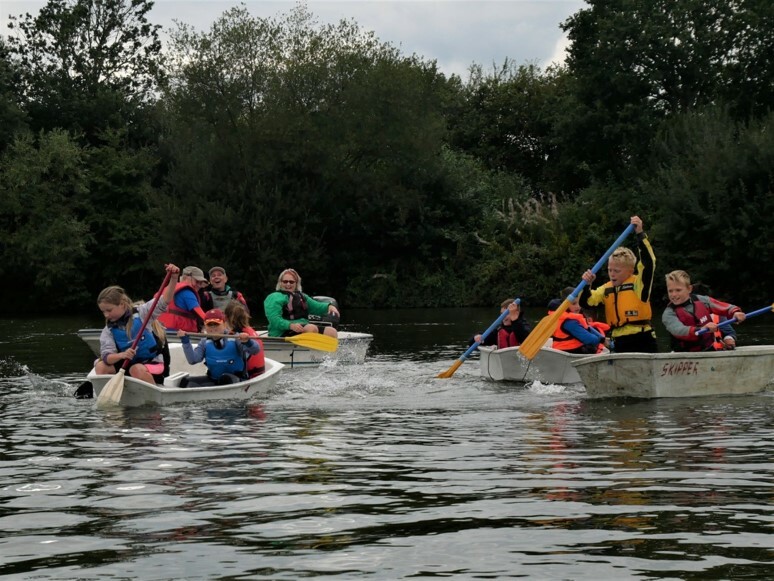 These supervised sessions are run by RYA qualified instructors with the help of assistants and include a mixture of training, games and racing. 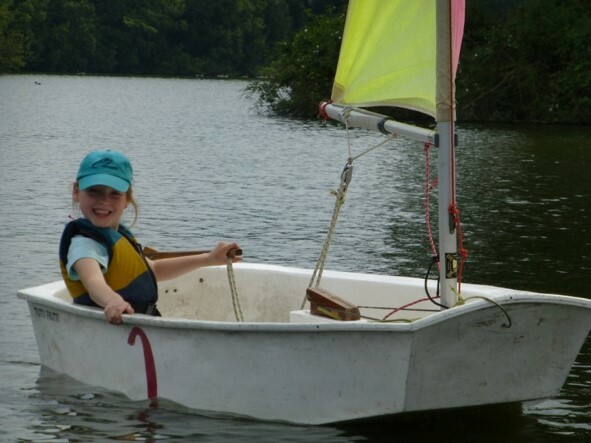 Youngsters can either sail in their own boat or use a Club boat – we currently have Toppers, Optimists and Picos. There is no charge for Junior Club (which is only open to Club members) and the usual charge for hiring a Club boat is waived. Please note that a parent must remain at the Club and be available to help out either on the water or assist with rigging and de-rigging boats.